A Contentra-IIPM Think Tank publication on Technology. A 4P\'s Quarterly Supplement. 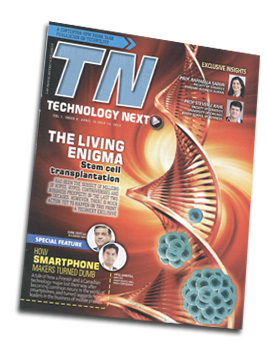 Technology Next is a special 4ps Business and Marketing supplement dedicated to the technology evolution in India and across the world. In true B&E spirit, it strives to analyse and define new dimensions that shape the technology world of tomorrow. It seeks to keep technology savvy readers updated with all that's happening in the space, help them decipher the vital transformations and better understand their implications for their work lives as well as their personal domain. Besides the usual and relevant features, it will pay special attention to thought leading industry concepts, strategies of technology firms and on technology's role towards the larger good of the planet.